New Vantage is a born predator. 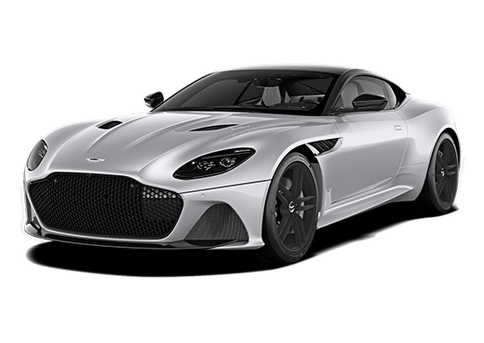 Its heart beats with a high powered 4.0 liter twin-turbocharged V8, producing that visceral Aston Martin roar, embodying all that is beautiful in our performance sports car range. The inherent sporting agility comes from its compact dimensions, an impressive weight of just under 3400 pounds and its near 50:50 weight distribution. More technological innovations comes from Dynamic Torque Vectoring and Electronic Rear Differential, linked to the Vantage’s electronic stability control; system. A first for Aston Martin, the electronic Rear Differential’s speed and sensitivity of response enhances cornering performance, high speed stability and maneuverability, enabling the driver to fully explore the Vantage’s dynamic capabilities. The performance racing experience has been elevated due to the Aston Martin 2019 DB11 in Dallas. With its perfect proportions and iconic design, this predatory athletic machine will inspire you to achieve new heights in speed and luxury. With competitors rising up to challenge the DB11, it can be confusing when comparing specific features, but that’s precisely what we did! When it comes down to the fine details, we’ve set the DB 11 up next to the Mercedes AMG S 65 to see who comes out as champion. We already know the DB11 can’t be beaten, but go ahead and make your own judgments. When it comes to performance vehicles, there are a lot of expectations to be met. You need ultimate power with matching control, and a style that will cause a lot of double-takes and some vehicle manufacturers can’t keep up. With the 2019 New Vantage in Dallas you can have it all and then some, so let’s see how this powerhouse compares to one of its competitors, the McLaren 570. 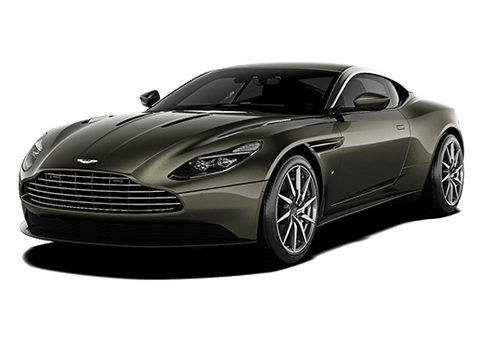 The 2019 DB11 Coupe in Dallas is an icon reimagined, and it’s the most efficient and robust “DB” model in the history of Aston Martin! So get ready to buckle up, because after you know a little more about this powerhouse, you’ll be itching for a test-drive. The Porsche 911 may be sitting pretty on top of its pedestal, but it should be wary. 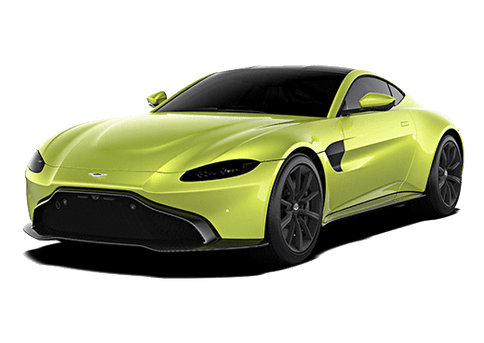 Aston Martin has designed the 2019 Aston Martin Vantage to not only meet the Porsche 911 head-on but exceed it in many of its features. 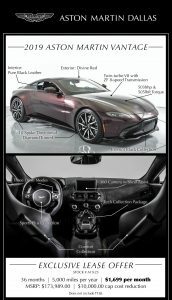 So, if you are thinking about getting the 2019 Aston Martin Vantage in Dallas, take a look at this.